At the time of writing this the WuQue is arguably the best 4x4 on the market. The first batch had some issues with it being a bit slow and the cube needs to be a little bit not he tighter side or else catches and... corner twists can occur. After finding the right balance and adding magnets I love using this cube. The ONLY thing that I don't like is the size. It is a standard size of 62mm but I am a person who loves smaller puzzles. 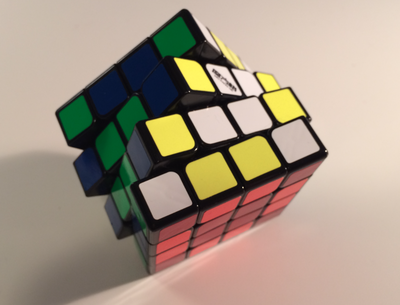 This cube is one of the best, if not the best, 4x4 on the market. The cube is the most stable 4x4, and is almost definitely the best performing. The size is not too much of a nuisance, and the performance definitely outweighs it. Get this cube!